Liuzhou is a prefecture-level city in north-central Guangxi Zhuang Autonomous Region, People's Republic of China. The prefecture's population was 3,758,700 in 2010, including 1,436,599 in the built-up area made of 4 urban districts. Its total area is 18,777 km2 (7,250 sq mi) and 667 km2 (258 sq mi) for built up area. Liuzhou is located on the banks of the winding Liu River, approximately 255 km (158 mi) from Nanning, the regional capital. 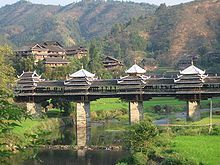 By road, it is about 167 km (104 mi) to Guilin, 167 km (104 mi) to Hechi, 237 km (147 mi) to Nanning, 373 km (232 mi) to Fangchenggang, 448 km (278 mi) to Beihai. 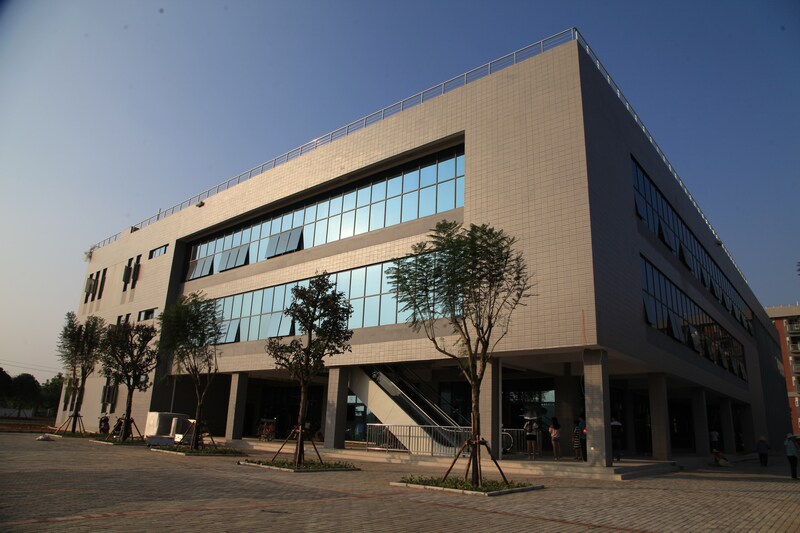 Liuzhou Vocational & Technical College (hereinafter called “LVTC”) is located in Liuzhou City of Guangxi, an industrial center in the southwest of China. It is one of the first full-time comprehensive higher vocational colleges approved by the state in 1998, one of 100 national demonstrative vocational colleges, and one of the only two national demonstrative vocational colleges in Guangxi. LVTC is established by the People's Government of Liuzhou Municipality and jointly administrated by the People's Government of Guangxi Zhuang Autonomous Region and the People's Government of Liuzhou Municipality. LVTC covers an area of 753,000 square meters, with 750,000 books and total fixed assets of about RMB 820 million. LVTC has 10 national demonstrative training bases, 5 demonstrative characteristic major and training bases of Guangxi Zhuang Autonomous Region, 14 demonstrative higher vocational education training bases of Guangxi Zhuang Autonomous Region, and 2 demonstrative higher vocational education construction training bases of Guangxi Zhuang Autonomous Region, 2 Liuzhou municipal training bases with an investment of RMB 10 million, 142 training bases on and off campus, and 9 vocational skill appraisal institutions. 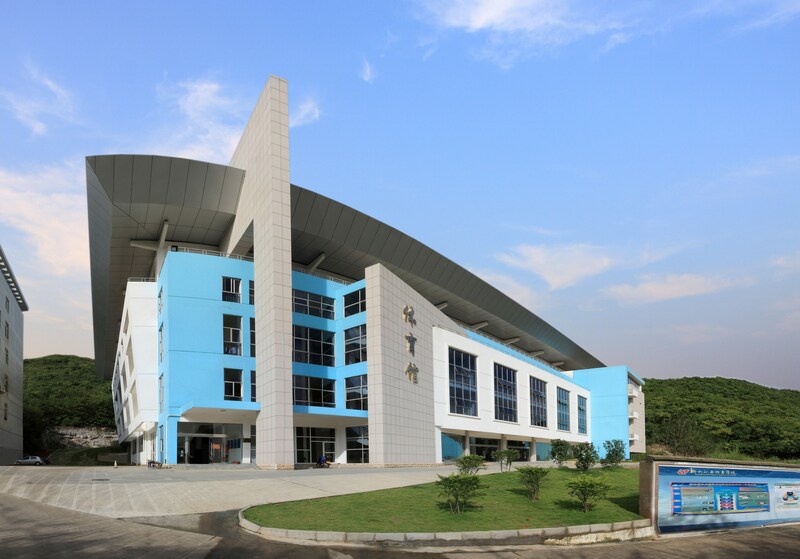 It is the vocational college with the most advanced training conditions and the most complete functions in the Guangxi Zhuang Autonomous Region. LVTC has nearly 12,000 full-time students and nearly 800 faculty members, including more than 600 full-time teachers, 441 dual-qualified full-time teachers, 314 teachers with postgraduate diploma or master's degree, and 238 full-time teachers with senior title, 1 renowned teacher at the state level and 6 renowned teachers at the autonomous region level. It is the higher vocational college in Guangxi with the largest number of teaching teams and renowned teachers at the state and autonomous region levels. LVTC has established 9 schools, i.e. School of Mechanical and Electrical Engineering, School of Automotive Engineering, School of Electronic Information Engineering, School of Environmental and Food Engineering, School of Finance and Logistics Management, School of Trade and Tourism Management, School of Art, School of Marxism, and School of General Education. It has set up 57 majors, including 10 national key majors, 15 characteristic majors at the autonomous region level, 3 advantageous characteristic majors at the autonomous region level, 5 demonstrative characteristic major and training bases at the autonomous region level, 1 top-quality major at the autonomous region level, and 14 excellent majors at the autonomous region level. At present, there are 6 state-level top-quality courses, 5 courses sharing national top-quality resources, 1 state-level educational reform pilot major, 27 top-quality courses at the autonomous region level. LVTC has participated in the construction of 5 state-level professional teaching resource libraries, dominated the construction of 2 professional teaching resource libraries at the autonomous region level, and built 18 college-level professional teaching resource libraries. It has 6 state-level teaching achievements, and in Guangxi it is the higher vocational college with maximum state-level teaching achievement awards. LVTC establishes a vocational skill appraisal institute to carry out the appraisal training on the preliminary, intermediate and senior vocational qualifications of 40 types of work such as electromechanical, automotive, computer, economy and art, and actively provides enterprises with “order-based” personnel training services and technology R&D services etc. There are nearly 20,000 person-times of training and skill appraisal each year. LVTC deepens the internationalized college running level, and introduces international personnel training standards. Since 2012, it has successively implemented the Ministry of Education-DMG MS CNC Specialty Field Cooperation Project, FANUC CNC System Application Technology Center Project, Joint Demonstrative Training Center Project of Germany Siemens Advanced Automation Technology, Ministry of Education- Sino-German Automotive Vocational Education Project (SGAVE), British Modern Apprenticeship Project, German “Dual System” Training Mode, Liuzhou Germany AHK Vocational Training Center Project. In 2017, LVTC became the first partner college of China Project of European School for Sommeliers, and reached the cooperation intention with BERJAYA University College of Hospitality, Kyiv Mohyla University and so on. In the same year, LiuGong-LVTC Global Customer Experience and Training Center was established jointly with Guangxi LiuGong Machinery Co., Ltd. and put into service. In early 2018, LiuGong-LVTC Global Customer Experience Center India Branch was established in India; Qahtani College that is established in cooperation with LiuGong and Saudi Arabia Qahtani Group will start admitting students soon. LVTC is actively engaged in the college running of dual subjects. ZTE Information College, Huayu Zhonghang College, Hengqi Management Accounting College, Baijie Internet College and Shangyunke Software Engineering College are built jointly with enterprises. The college-enterprise cooperation can improve the personnel training quality. The implementation of performance excellence management model in LVTC significantly improves the quality of modern management. In Guangxi colleges and universities, LVTC is the first to establish a "one-stop" comprehensive service center to achieve 24-hour response and comprehensive coverage. 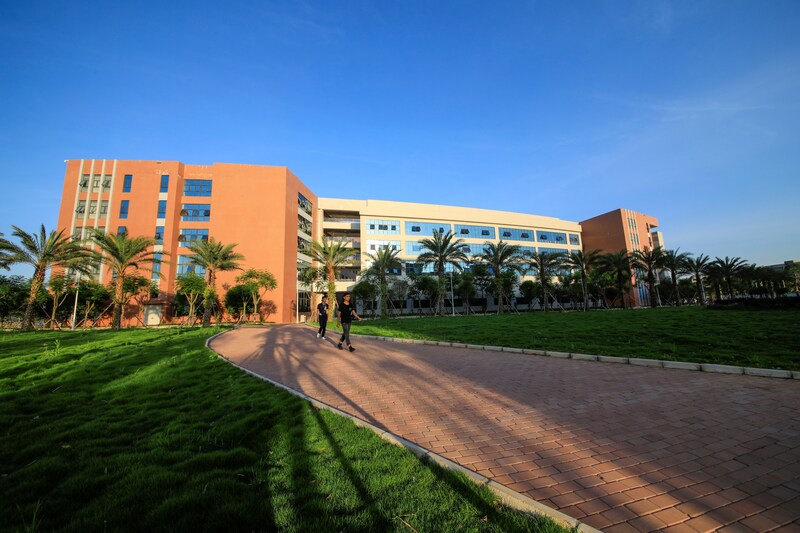 It has introduced CRP digital campus information platform, established a cloud computing center and Smart Campus, and realized full coverage of campus wireless network. 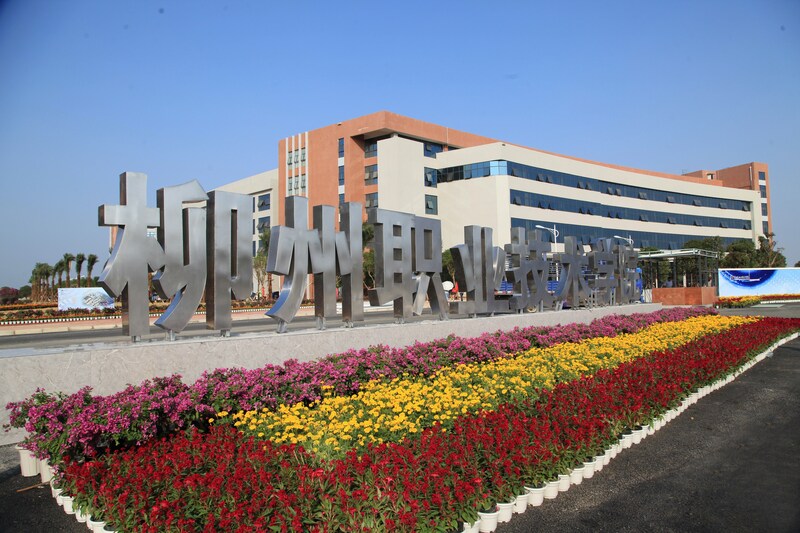 LVTC has been rated as the Advanced Entity for the Graduate Employment Work of Guangxi Colleges and Universities for 17 consecutive years, and has cultivated a number of excellent graduates, such as representatives of the 19th CPC National Congress, national outstanding youth post experts, Qiu Liubin (the winner of National May 1st Labor Medal), Liang Hua and Fang Jiulin (the winners of Guangxi May 1st Labor Medal), and Yuan Yin (Contemporary Zhang Haidi). Many graduates have become the backbone of enterprises and won good reputations for LVTC. With the strong support of governments at all levels and the high attention of all walks of life, the construction and development of LVTC has achieved fruitful results: National Demonstrative Higher Vocational College, one of the first Demonstrative Entities of National Conservation-oriented Public Institutions, one of the first Excellent Pilot Entities of National Education Informationization, Advanced Entity of National Higher Vocational College Innovation and Entrepreneurship Education, Top 50 National Higher Vocational Colleges with Demonstrative Innovation and Entrepreneurship, National Young Worker Skill Appraisal Demonstration Entity (the only one in Guangxi colleges and universities), Advanced Entity of Guangxi Electronics Industry Vocational Skill Appraisal, the winner of Outstanding Contribution Award for Highly-skilled Personnel Training of Guangxi (the only one in Guangxi colleges and universities), Guangxi Excellent Employment Training Bases for Labor Transfer of Poor Villages (the only one in Guangxi colleges and universities), Advanced Vocational Education Entity of Guangxi, Advanced Teaching Reform and Management Collective in Guangxi Higher Education Institutions, Civilized Entity of Guangxi Zhuang Autonomous Region, Safe and Civilized Campus of Guangxi Colleges and Universities. LVTC adheres to the mission of “letting students become the first choice of enterprises” and the values of “staying realistic and pragmatic and pursuing excellence”, and implements the development strategy of “international leading, connotation upgrading, simultaneous development of six elements, building a famous higher vocational college with distinctive characteristics”, to win its way continuously to the vision of “becoming a respected famous higher vocational college”.